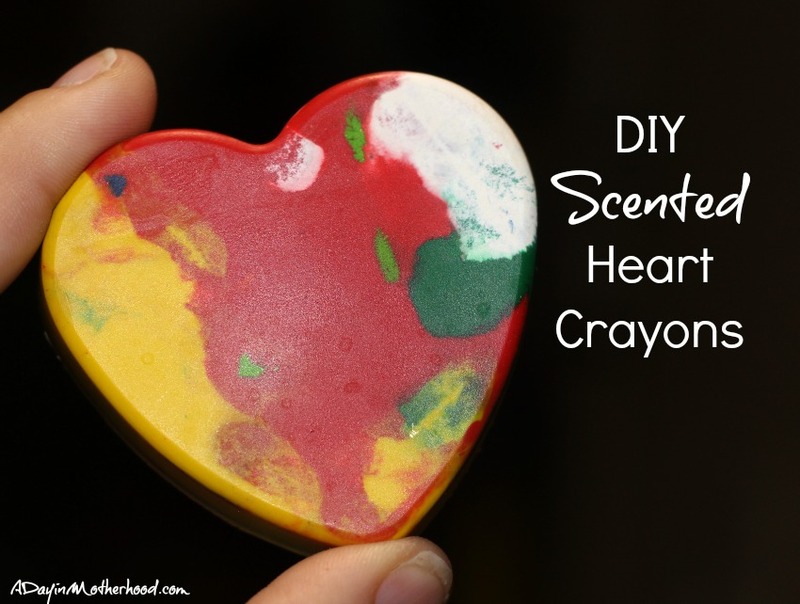 There may be affiliate links in this post about DIY Scented Heart Crayons. Any mom can tell you that the number of broken crayons in the house is always at an all time high! My girls are experts at getting a box of crayons and returning a floor full of broken ones not hours later. While I really don’t care that they do that, I hate throwing away broken pieces that I find lying around. A while back I saw that someone took those pieces and created new ones with just a silicone shape pan and an oven! I wanted to take it a step further! With Valentine’s Day coming up, I am on a mission to spend the least possible on the girl’s little gifts this year. Money is tight, especially at the beginning of the year, for me so anything I can make at home for free is a winner! 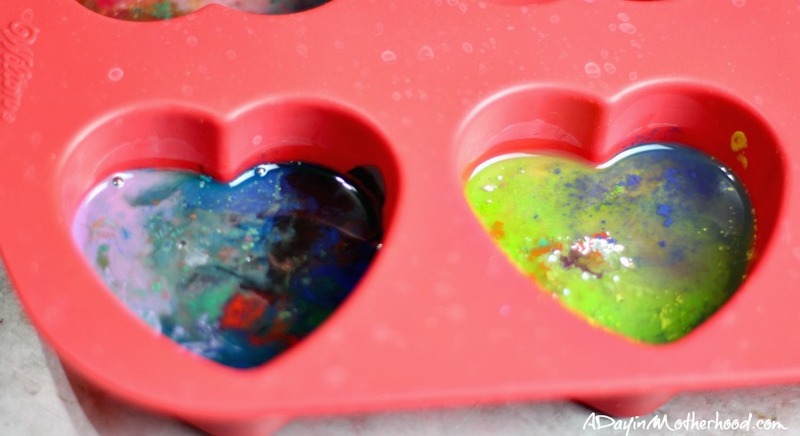 So I grabbed my scented oils and extract, those broken pieces and my silicone tray and I got to work making DIY Scented Heart Crayons for my girls! This is so easy even I can do it! 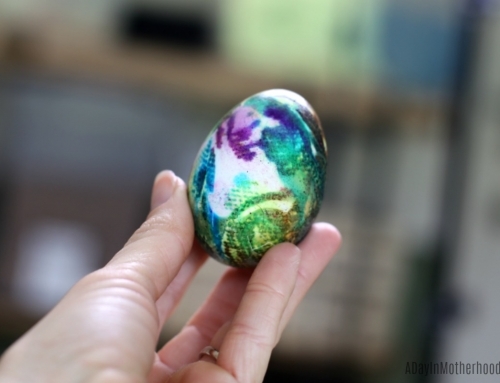 You can also make these unscented as well. scented oils: peppermint, lavender, etc. 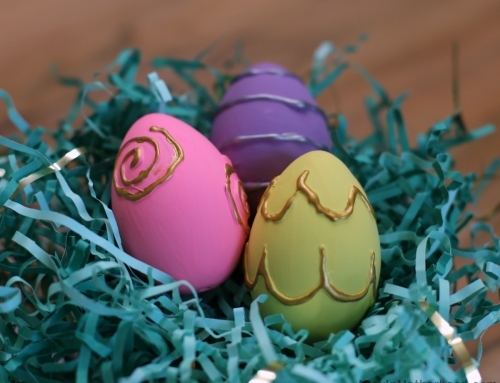 In each mold, add a few drops of the scent you want to use. 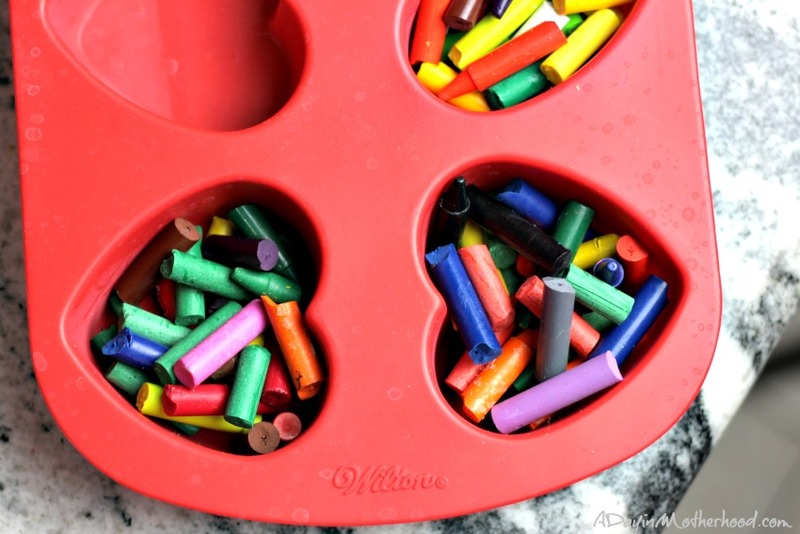 Add you broken crayons to the silicone mold. Place the mold on a cookie sheet. Bake 15 – 20 minutes or until all of the pieces are melted. Immediately place them in the freezer for about 30 minutes. 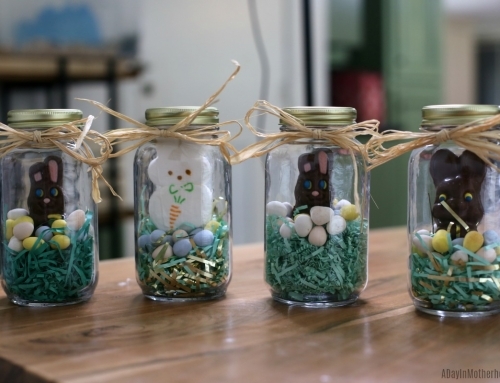 They are ready to pop out when the bottom of the mold is cold! 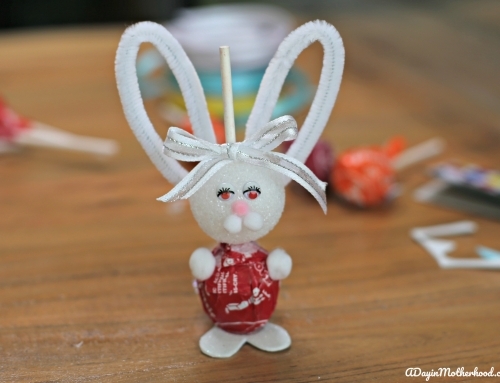 Pop them out and you have fun shaped crayons that have a gentle aroma that kids love! 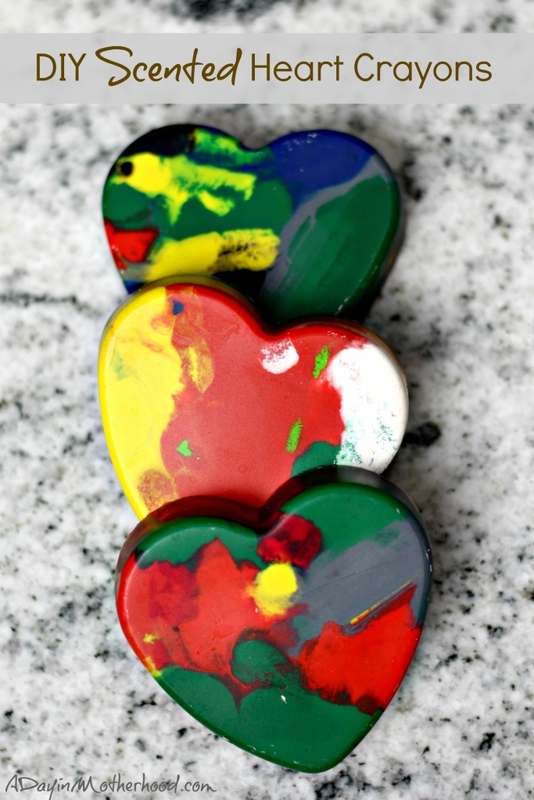 Wrap them in a package and hand them over Valentine’s Day and watch as kids create with, virtually, unbreakable crayons! These are SO easy. They are FREE and they are FUN!